Despite opponents’ complaints that the bill lacked adequate vetting and was a step backward for the state, the Pennsylvania House on Monday evening passed a bill allowing auto insurance appraisals to be done through photographs — or even over the phone. 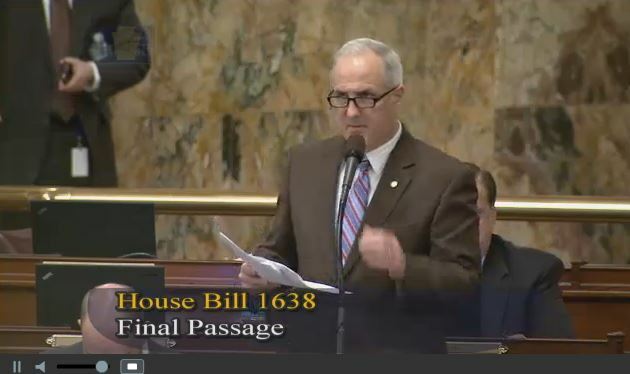 House Bill 1638 repeals a more than 40-year-old law requiring insurance appraisers be physically present for the inspection. It must still be passed in the Senate and signed by the governor to become law. The House passed the bill 116-79 Monday evening. It was sponsored by Nationwide insurance agency owner Rep. Mike Tobash, R-Dauphin County/Schuylkill County. Debate focused on the potential effects — positive and negative — on consumers and the level of scrutiny applied by the Insurance Committee — as well as an interesting point unrelated to collision repair. Rep. Cris Dush, a former insurance investigator, said the bill would facilitate the multibillion-dollar insurance fraud industry in the state. Scammers could simply file multiple claims by photographing a VIN number and submitting repeated claims on various damaged cars, he said. Insurance investigations also would be superficial if relying merely on photos, said Dush, R-Indiana County/Jefferson County. Assigning fault requires inspecting items such as worn brake linings and bald tires, he said. “A photograph isn’t going to tell you that,” he said. Dush also gave a personal account of insurance company tactics in arguing for the bill’s defeat, perhaps the most interesting part of the debate on the bill’s impact on consumers. After being sideswiped by a woman, her insurer — which had “just experienced a huge loss” in a California fire — refused to pay him more than 90 percent of the claim. “You struck her from the rear,” the adjustor said, according to Dush. “You paid absolutely no attention when you called here,” Dush recalled saying, noting that he was working for an insurance investigating business. Had Dush struck the woman — who was cited in the accident — from the rear, he would have been 100 percent at fault. He told the adjustor the company had 15 minutes to agree to 100 percent or he’d call the nastiest insurance tort lawyer he could find. “I got the call back. They paid for it,” Dush said. Dush said the bill deserved a “full vetting” from the Insurance Committee. “This came through way too fast,” he said. Barring that, the bill should be rejected, he said. “There are so many different ways where this hurts the consumer,” as well as the fraud issue, he said. Both sides debated the existence of similar language in more than 40 states. That many states can’t be wrong, implied Rep. Tina Pickett, R-Bradford County/Sullivan County/Susquehanna County. “More are intending to come on board, we understand,” said Pickett, chairwoman of the Insurance Committee. 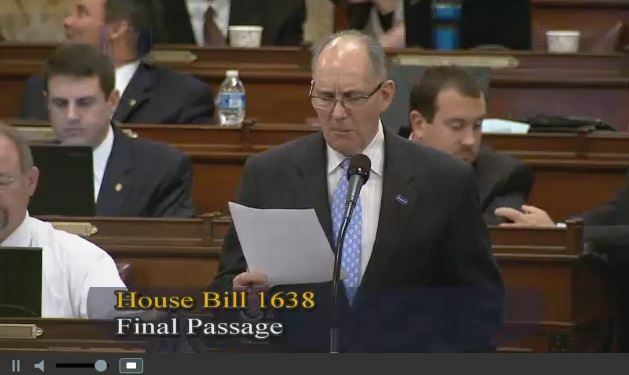 But State Rep. Tom Murt, R-Montgomery County/Philadelphia County, said the numbers on the other side simply showed Pennsylvania was ahead of the curve, noting that other states have copied the states’ inspection law. “We lead the country,” he said. In fact, “not all states are satisfied” with their photo-only appraisal laws, according to Murt. Massachusetts repealed one with a year of passage, and Rhode Island required physical inspection of damage costing more than $2,500 “due to inaccurate and unsafe estimating of vehicles,” he said. Back in 1972, the Pennsylvania Legislature “felt consumers needed strong consumer protection” by passing the bill — and cars are much more complicated today, Murt argued. 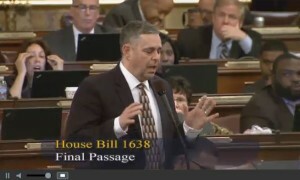 Rep. Stephen Barrar, Chester County/Delaware County, noted that the same law was put into place after the insurance industry’s “scheme of national proportions,” referring to the kind of alleged abuses the 1963 Consent Decree was meant to address. “Why is the insurance industry in this state so highly regulated?” Barrar asked. It’s because of insurer abuses, he said. And in fact, they’re already doing the kind of appraisals outlawed by the existing law, Barrar alleged. “This is about consumer safety, and it shouldn’t be about profit,” he said. But Pickett, Tobash and Rep. Eddie Pashinski, D-Luzerne County, argued that the bill was a “may” bill, as Pickett put it. It was the consumer’s decision, not an automatic right of insurance companies, to conduct photo (or video or telephone) appraisals. “This is simply an option,” Tobash said. The language of the bill says a customer or other party can’t be required to provide photos, though it seems as though an insurer could theoretically hire a freelance photographer to send images in should those parties refuse to send photos. Tobash said in an earlier interview with Repairer Driven News that his intent wasn’t to let insurers countermand a consumer who desired a physical inspection in that fashion. “This is a bill that protects the consumer, the policyholder,” Pashinski said, calling remote estimates a “more efficient, cost-saving” method. He also dismissed the argument that items would be overlooked. “There will still be supplements,” he said. However, insurers generally dislike supplements, which mean the repair bill will increase, and some use supplement frequency as a measure of evaluating direct repair program shops. The bill will help save customers money, he and Pashinski said. Based on the most recent National Association of Insurance Commissioners data from 2012, Pennsylvania customers pay near the national average premium for collision (nearly $7 more), comprehensive (about $10 less) and liability (nearly $9 less). If 40-odd other states which allowed non-personal appraisals were truly passing the savings onto consumers, that shouldn’t be the case. Pennsylvania ranks No. 16 in terms of average expense to customers, according to Insurance Information Institute rankings. There also seemed to be some confusion from bill opponents as to the nature of the appraisers who would evaluate the photos, video or phone calls. The bill does require licensed appraisers, despite Barrar and Murt’s statements to the contrary. Murt had tried unsuccessfully to obtain a hearing on the bill from the Veterans Affairs & Emergency Preparedness committee. 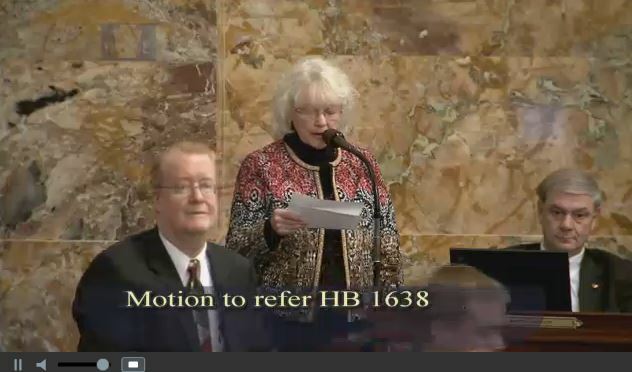 In fact, discussion of HB 1638 opened Monday by continuing debate over his November motion to do just that. Speaker Mike Turzai, R-Allegheny County had “shut down the debate right away” before the House could decide on the motion, Murt said in November. Barrar, who chairs the Veterans/Emergency committee, alleged last month that the tabling was done to protect the bill. The bill was “clearly on the fast track” and hadn’t yet received the views of the collision repair industry at a hearing, he said. That was “blatantly unfair and shows favoritism” to the insurance industry, Murt said. Pickett argued that her committee did in fact vet the bill and made the changes collision repairers wanted. However, the Pennsylvania Collision Trade Guild vehemently opposed the bill and criticized the refusal to provide a public hearing on the measure following the Insurance Committee scrutiny. Barrar, like Dush, also noted Monday that the bill moved quickly. The bill was introduced to the committee Oct. 20 and on Oct. 26 passed 25-1 (with one absence), with Murt the only no vote. The bill reached the House floor Oct. 26, was tabled, taken back up Oct. 28, and kicked back that day to the Appropriations Committee. On Nov. 9, the committee sent it back unchanged to the House floor, where Murt started the motion only to have it delayed by Turzai until Monday. The bill was tabled and reopened Friday, scheduled for a vote Saturday, but postponed until Monday. Murt’s request ultimately failed Monday by a larger margin than the bill did: 122-74. The brief debate also saw Turzai reminding bill opponents to speak only about the motion. In fact, he halted debate to briefly speak to Barrar, whom’d he’d cautioned before about speaking the bill’s content rather than the motion.